Anti-aging creams may come and go, but one ingredient remains the gold standard: retinol. Derived from Vitamin A, retinols have been used safely since the 1970’s. The most famous retinol product is Retin-A, which was approved by the FDA in 1971 as a prescription treatment for acne. But while user’s pimples were vanishing, they started seeing other benefits to their skin. Fine lines and sun spots were fading, and skin texture looked smoother. Even pores looked smaller. Skin just looked better, glowier and more vibrant. Sounds like a miracle product? While there’s no such thing as a miracle, retinols come close. Or put another way- retinols are the best anti-aging product money can buy that isn’t an injectable. Since the debut of Retin-A, retinols have found their way over the counter, at drugstores and department makeup counters in products that contain high doses of retinols in safe but effective formulas. Think of retinols as a multi-tasker and one of the hardest working products in your beauty arsenal. Retinols exfoliate the skin, getting rid of old skin cells and creating new ones, which results in new, fresh skin with a smooth texture. They also help to shrink pores and increase cell turnover inside the pore, making it less likely to clog with dirt and oil. Retinols work by thinning the top layer of the skin, while thickening the smoother second layer (the epidermis) which makes skin look dewy and firm. But perhaps retinol’s biggest claim to fame is that they help boost collagen production. When it comes to tackling the signs of anti-ageing, collagen is key as it’s what gives skin elasticity and firmness. Think of it as a support structure for the skin, and keep in mind that collagen creation starts to diminish in the 30’s. If you have never used a retinol product before, start slowly to prevent any redness, flaking or irritation. Apply a pea-sized amount of product once or twice a week and gradually build up to using it every night. And be patient. While some women see improvements in as little as two weeks, it can take up to six months to see a change. Make sure to incorporate a good moisturizer into your skincare regimen when using a retinol to offset any dryness. Take extra precaution when in the sun and be sure to apply a SPF daily — which everyone should do regardless of retinol use. Another thing to keep in mind is that Vitamin A is not stable- meaning it breaks down when exposed to sunlight and air. Try to choose products that come in a sealed tube or pump but if you do buy a product in a jar, try to select one in a dark container. 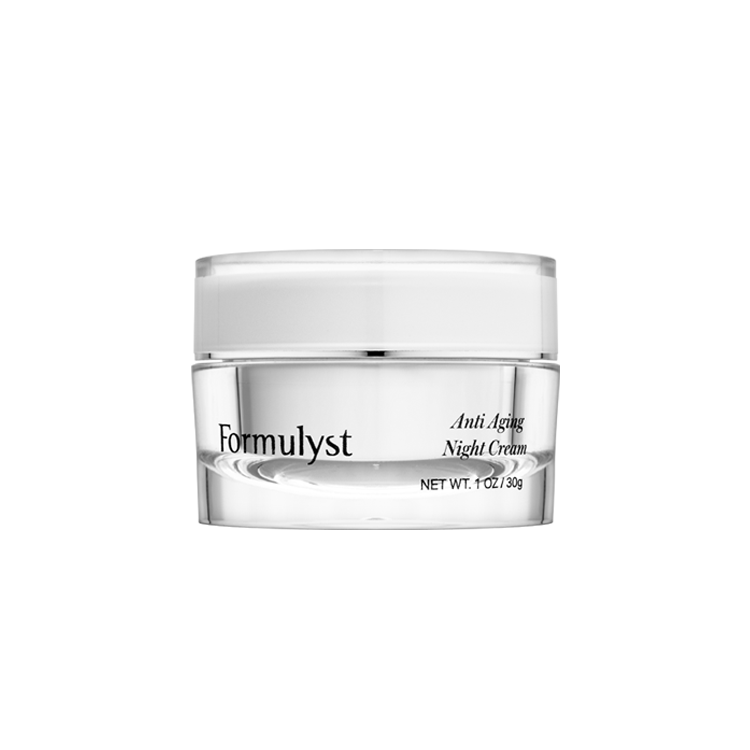 The star ingredient in Formulyst’s Anti-Aging Night Cream is the gold-standard of wrinkle fighters – retinol. This vitamin A derivative helps tackle fine lines, crow’s feet as well as dark spots. What makes this formula different is that it contains a high dose of retinol but won’t irritate skin thanks to ultra-soothing and hydrating safflower seed oil and jojoba, which lock moisture in. Can there be too much of a good thing? Yes, especially when it comes to retinols. Some retinol creams oversaturate the skin with product, causing irritation without ever reaching deeper layers of the skin, leaving users with all the side effects and none of the benefits. The Encapsulated Retinol Cream from Advanced Dermatology sidesteps this. 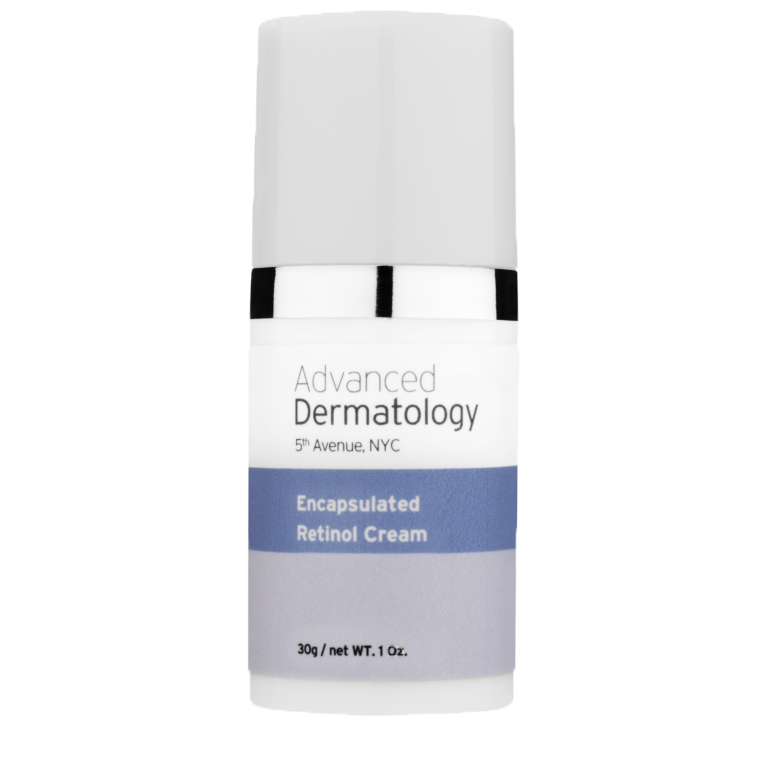 The brand has created a new encapsulated system that delivers a higher strength of retinol in a targeted way. The formula contains retinol molecules wrapped in a protective layer of phospholipid, which results in a time-released, focused delivery with minimal side effects. To help soothe and hydrate the skin, the cream also contains jojoba oil and sunflower seed oil. The Retinol 1.0 from Obagi is a gentle but effective retinol cream available over the counter at drugstores. The retinol is slowly released over time, and works to improve skin texture and reduce the appearance of wrinkles. The cream is packed with moisturizing and soothing ingredients, including jojoba oil, shea butter and sage leaf extract, which contains Vitamin A and calcium to boost cell regeneration. SkinCeuticals is known for combining science with natural botanical extracts to help combat the signs of aging. This face cream is no exception. The SkinCeuticals Retinol 1% contains one of the highest concentrations of retinol available over the counter. Because the cream is so potent, start slowly. Apply a pea sized amount at night once or twice a week and allow it to be fully absorbed before layering on a moisturizer. The cream will help tackle age spots, pores, uneven tone, and fine lines while also helping to treat blemishes. SkinCeuticals Retinol 1% is packed with ceramides and shea butter to counter dryness and irritation. SkinBetter Science debuted in doctor’s offices in 2016 and won a coveted Allure Best of Beauty Breakthrough Award the same year for its AlphaRet Night Cream. Here’s what makes the product different. Normally the gold standard of anti-aging products –retinols and alpha hydroxyl acids — cannot be combined in the same product as they would irritate the skin. But scientists at SkinBetter managed to do it by combining retinol with lactic acid–a moisturizing form of an AHA— to create a new molecule. What does this mean for the user? A highly effective anti-aging product that releases active ingredients slowly so you get all the benefits of retinol without the potential irritation. The No. 7 line from Boots has garnered a cult following for delivering potent anti-aging products at affordable drugstore prices. One of its newest products, No. 7 Restore & Renew Face & Neck Multi Action Serum, is a stand-out because it targets both the face and neck to tackle the signs of aging (hello, crepiness). The star ingredient is Matrixyl 3000+, a peptide blend, and Vitamin A to smooth wrinkles and improve skin texture. Hibiscus seed extract and hyaluronic acid help keep skin firm and hydrated. Use morning and night after cleansing. RoC’s deep wrinkle cream has won plenty of beauty awards and it’s easy to see why this product is consistently a winner. The Deep Wrinkle Night Cream contains a nearly prescription strength level of retinol to treat fine lines and pigmentation but comes with a drugstore price tag. Added bonus- the airtight aluminum packaging ensures the product doesn’t degrade in sunlight. In addition to stabilized retinol, this night cream also contain glycolic acid to smooth skin while minerals such as zinc, copper and magnesium boost skin cell turnover. SkinMedica was founded by a dermatologist, and the line contains power house ingredients such as Vitamins E, C, retinoids, and salicylic acid to target everything from fine lines to sun damage. SkinMedica Retinol Complex 1.0 is a potent night cream with a lightweight, smooth texture. The key ingredients—Vitamin A and retinols – take care of wrinkles while ceramides keep the face looking plumped and moisturized. This powerful serum contains 1.5% microencapsulated retinol, which helps to gently but effectively exfoliate the skin while you sleep, which encourages cell turnover and the creation of new, fresh skin. Peter Thomas Roth Retinol Fusion PM is oil and fragrance free, which is ideal for anyone with sensitive skin. Even better, the addition of Vitamins C and E help to hydrate and soothe the skin, and reduce any potential irritation. Think of this retinol as a triple threat to wrinkles and sun spots. What makes the Murad Retinol Youth Renewal Serum different is its trifecta of powerful ingredients including a fast-acting retinoid, a time-released retinoid for sustained benefits and a retinol booster. The lightweight texture of the serum absorbs quickly into the skin and can be layered under a night cream. This cream packs a one-two punch: it targets wrinkles while also delivering a healthy boost of moisture. Neutrogena’s Rapid Wrinkle Repair Regenerating Cream, an over the counter drugstore favorite, contains a high dose of Accelerated Retinol SA, which quickly penetrates into the skin, making it look brighter with improved texture. A boost of hyaluronic acid helps keep skin looking plumped and hydrated. Unlike most retinol creams, this one can be applied twice daily. The dermatologist-developed Exuviance line is packed with potent ingredients to deliver maximum results. The Super Retinol Concentrate is unique as it combines the power of retinol with NeoGlucosamine, which boosts its effectiveness while delivering the product in gradual, time released doses. This means users shouldn’t experience side effects common to retinol use, such as redness and irritation. The product comes in an airless tube and the dosage is pumped to keep it stable. This powerful serum taps into the power of retinol but takes it a step further by combining it with natural ingredients such as lemon tree honey and grapefruit oil. 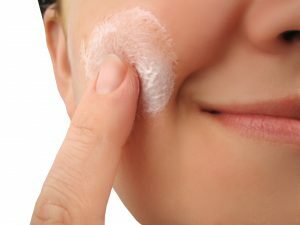 The 2% refers to a retinol complex- — a cocktail of short and long term time-released retinols aimed at smoothing out wrinkles and sun spots. Shea butter and jojoba help keep skin supple and moisturized, while olive leaf extract adds an antioxidant boost. At this point, retinol creams have become a staple in skincare. People across ages have found multiple ways to incorporate retinol creams into their routines. It’s important to note that while many of the retinol cream benefits focus on skin concerns related to age, you can reap the many benefits that retinol creams provide as early as your twenties. The most common retinol cream use is simply as a supporting skincare product. You’ll find that many people who don’t necessarily have concerns about their skin have incorporated a retinol cream for more preventative skincare measures. Next, the most recognized retinol cream use is for its anti-aging benefits. Those with mature or aging skin add a retinol cream to their skincare routine to help combat the signs of age in the skin. Retinol is combined with ingredients like kojic acid and hydroquinone to lighten hyperpigmentation. While retinol does not lighten the skin, it does cause the skin to renew itself at a faster rate. The main retinol cream benefit is, of course, working to stimulate collagen and elastin production. These are the two essential proteins that allow the skin to retain its firmness, elasticity, and strength. With an increase of collagen and elastin, the normal signs of age are visibly reduced like smoothing fine lines and firming wrinkles. Retinol creams also help to stimulate skin cell regeneration. This increased cell turnover helps to improve the appearance of skin including fading dark spots and reducing hyperpigmentation. In this same way, retinol creams are great for healing scars, sun spots, and even more stubborn wrinkles and skin imperfections. If it the first time you’re using a retinol cream, your skin will look smoother after a few days of use. If you’re familiar how a traditional prescription grade retinoid works, you’d be surprised to learn that a retinol cream essentially works the same way. 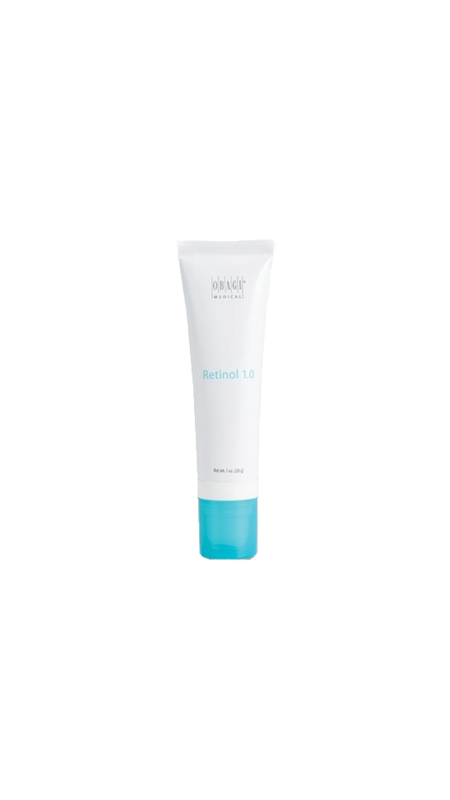 Retinol creams work to smooth the skin, even the skin tone, and stimulate collagen production. Once the retinol cream is applied to the skin, the gradual process of transforming into retinoic acid begins which is what gives the retinol cream all of its benefits. Oftentimes, there is a misconception that retinol creams work as a gentle exfoliation method, however, this is not the case. When applied, retinol creams can cause some peeling and redness that can appear similar to exfoliation, however, this can not be considered true exfoliation, instead, it’s simply a side effect of a retinol cream. 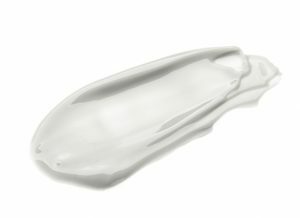 Skin care professionals will often use a variety of terms to describe retinol. Some will call it retinoid, and others will call it vitamin A. This can lead to a lot of confusion. To put it simply, retinol is a type of retinoid that works to get deep into pores to clear them of dirt and bacteria and is known for accelerating skin renewal. When infused into a cream base, a retinol cream works to slow down the visible signs of age in the skin by reducing the appearance of fine lines and wrinkles, stimulating skin cell regeneration, and smoothing the texture of the skin. It’s countless benefits and super powers on the skin are why retinol creams have been popping up across the beauty space and making their way into the routines and shelves of women of all ages. As many positive benefits that come along with using retinol creams in your skincare routine, there are many valid concerns floating around about how they can affect your skin. Some of these retinol cream concerns are valid and can be managed with proper precautions, while others are simply misunderstood. We’ll discuss each of the main retinol cream concerns to put your mind at ease and help you get a better understanding of how to manage the effects of using a retinol cream. Retinol creams are sun-sensitive. This means that it loses it effectiveness and stability when exposed to sunlight. For proper retinol cream use, you should only be applying it in the evenings when you won’t be heading outdoors. Retinol creams are also known for causing the skin to become dry and irritated. This is an extremely common—almost definitive—side effect and typically clears after ongoing use. However, because of this, people with extremely sensitive skin or people who have diagnosed sensitive skin conditions, retinol creams may simply be too strong to use and should inevitably be avoided. Once you’re ready to begin using a retinol cream in your skincare routine, be sure to ease gradually into using it. You want to start by using a pea-sized amount once a week to begin. Take note of how your skin reacts. If there is excessive peeling and irritation you may want to scale back or try another lower dose retinol cream. If all is well, aside from the minimal irritation and dryness to be expected, you can slowly increase the frequency of using a retinol cream. Work your way up to a daily or every other day application ensuring to include nourishing treatments and moisturizing serums as part of your retinol cream application. Remember, retinol creams should only be applied at night. Use just that small amount to apply to your face and down to your neck. You’ll find that there are many retinol creams that promise quick and easy results, however, it generally takes four months to experience visible changes. You’ll have to stick with the retinol through the dryness, irritation, and seemingly stagnant phases to experience results. Serums should be applied before applying creams. If you use multiple serums, always apply the thinnest product first. Avoid using retinol products prior to undergoing laser treatments as it can increase the risks. Always wear sunscreen the next morning when using retinol based products as it can increase photo sensitivity. Some consumers wonder whether a retinol serum is better than a cream with this ingredient. It’s a good question, because the answer depends on your skin condition and other products in your skin care routine. For example, if you suffer from very dry skin, then a moisturizing retinol cream may be a better choice as compared to a serum. A cream can carry more hydrating ingredients and can create a thicker moisture barrier after application. If dry skin is a problem, you may even want to consider a highly moisturizing night cream instead of a retinol serum. On the other hand, if you’re dealing with clogged pores and acne, a retinol serum may be a better choice, because it’s less likely to clog pores. Serums are designed to be very light on the skin, and to be absorbed quickly. Retinol is another name for vitamin A. Like other vitamins, vitamin A is found naturally in the body and is primarily connected with keeping the eyes healthy. However, scientists began to synthesize the vitamin in the late 1940s and it was discovered that its topical applications were beneficial for the skin, especially skin that was prone to acne. To better understand retinol products, it’s important to first understand their history and how they came be. Before retinol creams, there was simply, retinoid. A retinoid is a chemical compound of the vitamin A family. The very first FDA approved retinoid, tretinoin (more familiarly known as Retin-A), hit the market over 40 years ago and was—and still is—available by prescription only. This retinoid was praised by dermatologists and skin experts for dramatically transforming the appearance of the skin helping it to look smoother, brighter, and more even toned. With the success of the prescription grade retinoid, retinol creams were introduced to the general market. Unlike retinoids which are only accessible via a prescription, retinol creams are available over-the-counter and work in the same fashion of helping to improve the appearance of the skin. The main difference between a retinoid and a retinol cream is, inside the cream, retinol is slowly converted into retinoic acid making it less harsh but still just as effective. I’m just turning 39 & noticing that those little lines are just starting to creep up out of nowhere. So I did some research on what kind of eye creams I should use & bought a product with Retinol. Long story short, it made the lines worse & much more noticeable!!! I do not recommend Retinol. So I stopped that immediately! good day i want to know which of the Retinol i can use for my skin. i am a very fair lady that desire a spotless and ageless skin and that will maintain my color. please advice which to use that will not make me turn dark now change my color. I have suffered from skin pigmentation for a long time. People used to avoid talking to me. Skin pigmentation is a big turn off. It can make any person look unpleasant in appearance. If pigmentation is bothering you and you’re thinking of visiting a dermatologist, then a retinol cream may be the solution for you. Roc Retinol Cream is really gentle on the skin and helps to reduce discoloration of skin. You can also try the Roc Retinol deep wrinkle night cream. Surprisingly, it is not very expensive but it is extremely effective. My next enemy was dark circles. My eyes seemed as if I had not slept for days. My aunt recommended vitamin K and retinol cream for eyes. At first, it did not make much of a difference, but after a few days, my dark circles started getting lighter! due to sun exposure i guess. I want wondering if i can use a retinol cream? dont know which one to choose. Try Differen–some people (like myself) do not respond to regular retina-A. It is a synthetic form on vitamin A and did wonders for my skin…. I have dark circle problem, what is the best eye cream to use? Hmm…because there is not much money to be made writing scripts for real tretinoin acid (Retin-A), the inconvenient truth is that it’s a conflict of interest for dermatologists to sell these useless products in their office to generate revenue. A good doctor with a good business does not need alternate revenue streams, period! Stick with true Retin-A, available only by prescription. Yes, you will go through an “ugly” phase when first using it. This is due to the cellular turnover from regular use and is a good thing. Retin-A has decades of bona fide, peer-reviewed medical research behind it. Note that the prescription product is monitored by the FDA for quality control and to ensure that the ingredients are present in the amounts claimed. None of the products on this page have any independent oversight whatsover. Labels are written by for-hire, creative, articulate writers of fiction. The prescription Retin-A is relatively inexpensive. The markup on all these “Retinol” products would make your head spin – save your money! Hi – I’m just starting out on the Retinol road and would appreciate your advice as you seem to have so much knowledge and experience. I have slightly sensitive skin and am looking for a night cream or serum which will deal with the early stages of wrinkles. Which would you recommend? I’ve been using Algenist Retinol Firming and Lifting Cream. Great product but gentler than the other retinol products I have tried. I think the most potent retinol I ever used was Skinceuticals Retinol 1.0 but it causes way too much peeling. If you don’t mind looking like a turkey, it will reduce the look of wrinkles quite substantially. I love the DDF Amplifying Elixir. It cost $70 and you can buy it from most upmarket department stores. This product contains Niacinamide which is proven to even out skin tone and fade spots. The only problem I have with DDF is they keep discontinuing and replacing products so if you are using a cleanser, serum or cream you love it might disappear and be replaced by something that just doesn’t work for you. I’m surprised no one has mentioned Afirm. It comes in 3 strengths 1x,2x and 3x. You get a nice gentle peel. If not experienced should start with low strength and work your way up. I also use Roc cleansing disk and Roc moisturizer w/SPF. Just thought it odd no one mentioned it since its a fairly popular brand in retinol community. I had low expectations about Roc Retinol Correxion cream due to the low cost of this item but it seems to work and now I use the day and night cream everyday but I need to use my own spf sunscreen as I have very sensitive skin. Some products that work exactly the same way to roc cost double. I’ve tried many skin products with retinol in hopes of finding a product that would do its magic. After trying a few different retinol creams with vitamin a for the face I have failed miserably. What’s the best retinol night cream for acne? Will it help acne scars?